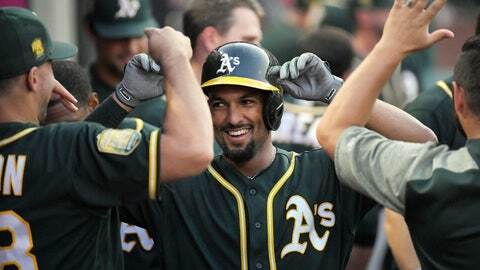 ANAHEIM, Calif. (AP) — Ramon Laureano grabbed the spotlight, and that was just fine with Edwin Jackson. With one out and Eric Young Jr. on first, Laureano raced into the gap in left-center to haul in Justin Upton’s drive. The rookie center fielder then completed the double play by uncorking a long throw to first .